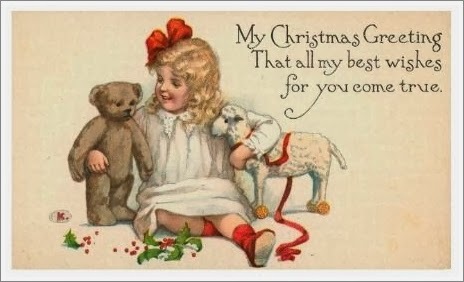 I hope you are busy decking the halls (or decorating the apartment), cooking fragrant and tasty treats, and wrapping your self made gifts already. I'm still in a frenzy of camel making, but I've started a little bird as well. Pattern for that coming next week. In the meantime, if you have started wrapping gifts, remember who they are meant for by putting a tag on them. 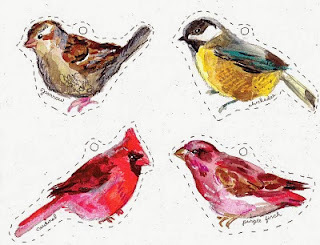 I found these wonderful bird gift tags. They are free, ready to cut out and print. Browse to Rebecca's blog by clicking the picture or the link below for high resolution images. There are several more little birds to choose from. Enjoy! Thanks for the link the birds are beautiful.